Is Organic Certified Wheatgrass Powder Better Than Locally available Wheatgrass Juice? Organic Certified Wheatgrass Powder is many times better then Wheatgrass purchased from local vendors because of the following reasons. Organic Wheatgrass Powder is Guaranteed to be free from harmful chemicals and pesticides. Locally Available Wheatgrass can easily be contaminated by all the Chemicals accumulated in the Soil, the Water or the Air. Organic Wheatgrass Powder contains a complete range of Nutrients as it is grown by experts in ideal condition. Locally Available Wheatgrass growers lack the expertise and infrastructure to ensure the quality of the wheatgrass being grown. Wheatgrass contamination due to Bacteria and/or Virus. Organic Certified Wheatgrass is Grown, Harvested and Packed using hygienic methods. There is also no risk of Contamination whilst handling or shipping till it reaches you as it comes in a sealed Bottle. 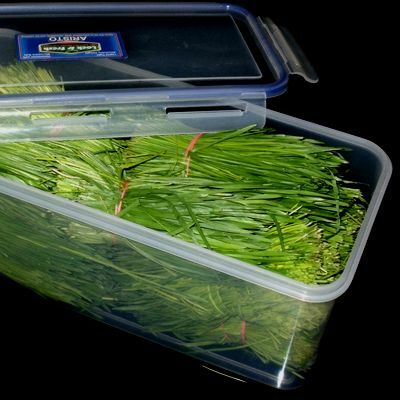 Locally Available Wheatgrass is handled and shipped in unpacked form which increases the risk harmful bacteria and virus contamination. As wheatgrass is used in its raw form these Bacteria and Virus can easily infect you with Life threatening diseases. 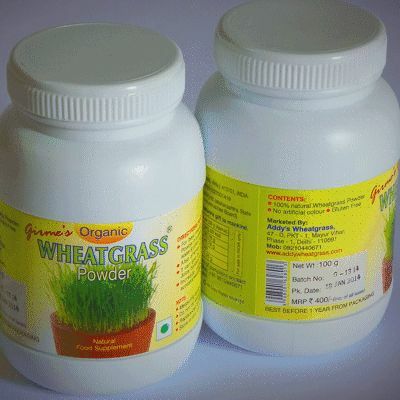 Organic Wheatgrass Powder is Dehydraded and is made into a fine powder using a cold grinding technique and can be stored for upto 1 year. Locally Available Wheatgrass' becomes unfit for consumption within 1 to 2 days. Organic Certified Wheatgrass can be consumed by adding 3gms powder to a glass of lukewarm water. The whole process is convenient and take seconds only. Locally Available Wheatgrass needs to be washed, Juiced in Mixer Grinder or Juicer, and then strained before it is ready for consumption. 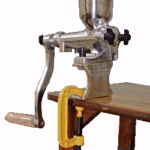 The whole process can take minutes to hours, depending upon the process you use. Organic Wheatgrass Powder 100 gm box of 30 doses costs only Rs450.00, lasts for full one month course and hence it is economical. 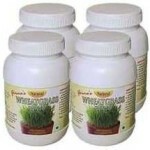 Local Wheatgrass costs Rs 30 to Rs100 per dose making it lot more expensive than Organic Wheatgrass Powder. 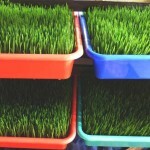 Organic Wheatgrass is grinded into a Powder using whole leaves of fresh wheatgrass and all its Nutrients remain intact. It also retains Valuable Fiber in the small size of 60 microns. And we all know helpful Fiber is in various Medical Conditions like Hyper tension, Diabetic, Constipation etc. Local Wheatgrass Juice needs to be strained to remove Fiber from it because it cannot be digested by our Body in that form. When you Buy Certified Organic Wheatgrass Powder from us you are guaranteed a product that is free from Chemicals, Virus, or Bacteria and is Economical and convenient to use at home or whilst traveling. Its vast nutritional range, 60 micron fiber and a Longer Shelf life are just additional benefits that you get when you Buy Certified Organic Wheatgrass Powder from us. Visit our Online Shop to Buy quality Girmes Wheatgrass Powder Certified by Indian Organic, USDA Organic and EU Organic. We hope you found the information given above useful. Please do not forget to click the Google +1 and Facebook Share button on Bottom right corner of this page.